With several of the best hotels in the Caribbean, its beautiful beaches, and the famous Pitons, St Lucia is a paradise for tourists. But when you are an expat living in Castries, life is a little different from the typical postcard. Of course, I tried most of the famous tourist activities such as the mud baths in the Sulphur Springs, the zip line, and tour of Morne Coubaril Estate, a chocolate-making workshop at Howelton Estate, or a boat ride along the West Coast. But after doing all this, you have to find your St Lucia, what will make this island a special part of your life. Let me explain. Before we get started, we want you to give our Facebook page a quick like and be sure to follow us on Instagram for some amazing inspiration. We also wanted to tell you that we use Affiliate links on some posts and we can make a commission if you use the link. Please visit our policy and disclaimer page. One of the beaches I really wanted to go to was Jalousie/Sugar beach, often presented as the most beautiful beach in St Lucia. Turns out I found it really disappointing. First, you have to pay 50 USD if you want to use the shuttle to go to the beach from the car park, deductible from your bill at the restaurant. You can walk to the beach if you want to, but it will take you quite a long time. When you reach the beach, I must admit that you have a great view of one of the Pitons, the sand is white and the water is perfectly clear. But most of the beach is used by the resort, and the side where locals go is often crowded. All in all, I decided it wasn’t worth the trip nor the money. However, I discovered that for the price of a drink, you can spend the afternoon lying on a deck chair by a pool in front of the Petit Piton. You only have to stop at Stonefield Resort, a short five-minute ride from Soufriere, go to the Mango Tree Restaurant and enjoy the breathtaking view. Other favorites in the area are Anse Chastanet and Anse Mamin, two black sand beaches located just North of the town of Soufriere. The first beach is one of the best spots for snorkeling in St Lucia. As soon as you jump into the water you feel like you are in a completely different world. Various species of fish are swimming peacefully around you, and the corals are amazing. Anse Mamin is more secluded and quiet (because a bit further from Anse Chastanet Resort), and this is where I go to relax after snorkeling. The only drawback of those beaches is that they are really difficult to reach. You can either take the road (if you have a very good vehicle) or use a taxi boat from Soufriere (usually EC 120 $ for the return trip). In the North, most tourists go to Reduit beach. Located near the restaurants and resorts of Rodney Bay, it is for me the most common beach in St Lucia and I only go there if I really have to. Closer to Castries, you will find other beaches where you can really feel alone. My favorite is Vigie Beach, running along the airport. It is usually empty except for Sundays when family and friends come to play cricket or football and have a picnic. There are only a few planes that may make a bit of noise, but the golden sand and almond trees providing a nice shade make you forget everything around. And if you get thirsty, you can go to the left end of the beach and you will find vendors of fresh coconut water. Another thing that I had to try was Gros Islet Friday night. Yes, I did spend many evening queuing at Duke’s place to eat the best-grilled fish in St Lucia and then dance in the crowd of tourists and locals partying together. The food and ambiance is great and you won’t find it anywhere else on the island. But after a while, waiting for 45 minutes to one hour to eat a slice of marlin was no longer appealing to me. That’s when I discovered Boyo’s place, located in Marisule, not far from the main road (or the highway as we call it). They serve fish and lambi with various choices of sides (fried plantains, rice, breadfruit or green fig salad, pasta…), and everything is very tasty. I usually eat there, and if I’m in the mood for more partying, I will go to Gros Islet afterward. If you want to have a local lunch, good options in Castries are in the market area, where you can buy a local meal for only 5 USD, or a bit further at Chef Robby’s, located in the Duty-Free shopping mall La Place Carenage. Ask for the three meals course, only 12 USD. St Lucia has many restaurants to choose from when you want to eat out, especially in Rodney Bay. There, you can find local, Italian, French, Asian or Indian cuisine only a few meters away from one another. However, after spending a few months here you narrow your options to only a few places and things get boring. That’s when I realized that the hotels are not too expensive and usually serve quality food. The Ti Banane for example (from the Coco Palm Resort), offers a buffet every Friday evening and Sunday for lunch. The Royal by Rex Resort also regularly offers a Sunday Brunch. Apart from the beaches and food, what I like in St Lucia is the simplicity of life. You can buy fresh fruits every day at the market: papayas, soursops, mangos, passionfruits and the list goes on! And the smell of spices (especially nutmeg and cinnamon) as you pass the stalls is incredible. You can also buy fresh fish directly from fishermen who will scale and clean it for you for only a few dollars. If you’re in the mood for partying, there is probably a fete (party) or a boat ride scheduled. There is always a coconut vendor not far, and if you can’t find one, try the nearest Massy store, they will probably have chilled bottles of coconut water. To conclude, St Lucia is not only a paradise for tourists. It is a paradise for everyone, whether you like relaxing on the beach or hiking mountains, fine dining or local food, peacefulness or loud soca music. 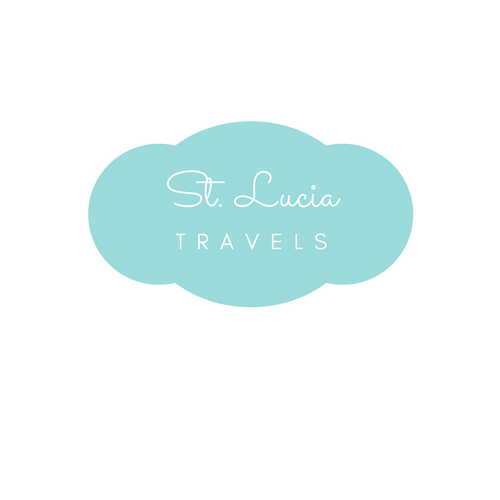 You just have to discover your Sweet St Lucia.